Brouwer was born in the Flemish city of Oudenaarde (now Belgium). He mainly painted peasants, soldiers and other ‘lower class’ individuals engaged in drinking, smoking, card or dice playing, fighting, music making. As he and his friends spent a lot of their time partying in the local taverns, he had first-hand experience with many of the scenes he painted. 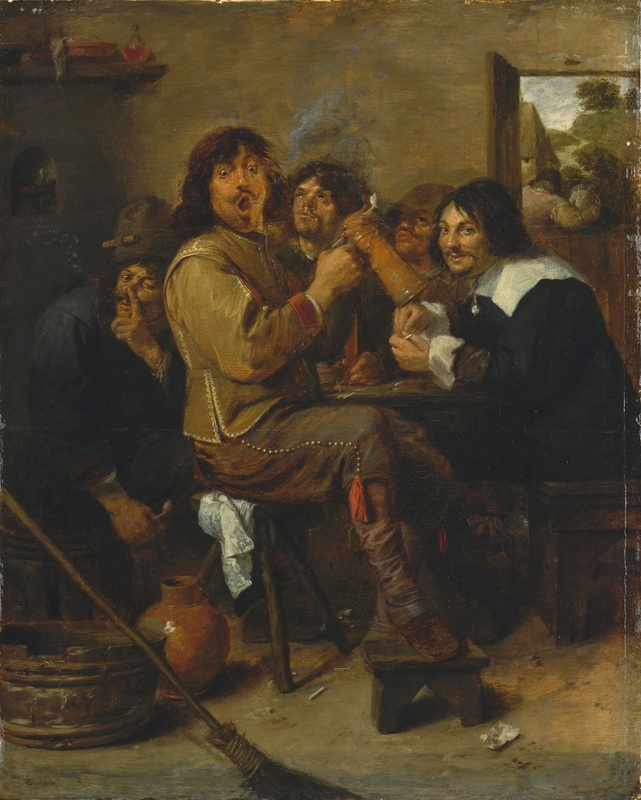 On The Smokers (now in the MET, New York and painted around the same time as The Bitter Potion) he painted a self-portrait together with portraits of Jan Cossiers, Jan Lievens, Joos van Craesbeeck and Jan Davidsz. de Heem. 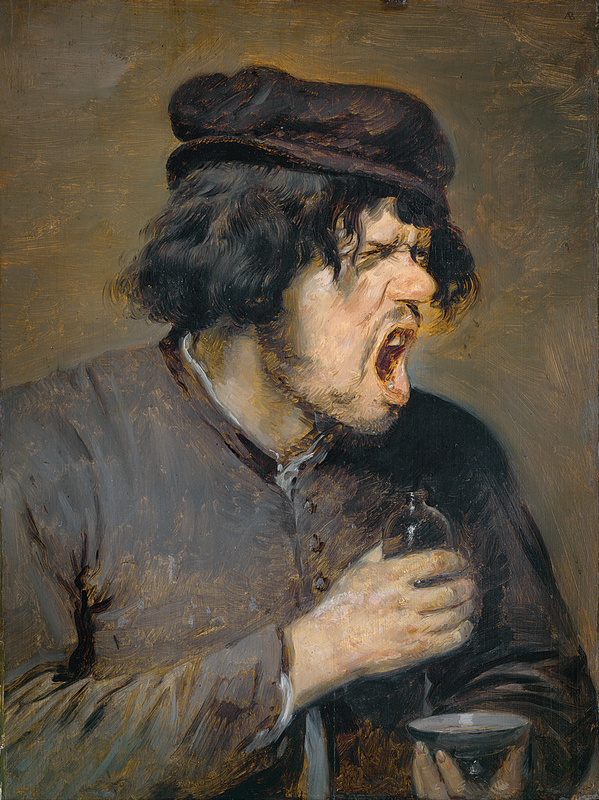 The Bitter Potion is an example of the genre of Tronies; head or facial studies, which investigate varieties of expression. In this case, expressing disgust over a bitter potion. His work was popular with his fellow painters; his friend Peter Paul Rubens owned 17 of them at the time of his death (Given that he only painted around 60 works that is a considerable amount). Anecdotal genre scenes of robust content were especially popular in the Netherlands. The more prosperous city dwellers used them to decorate their well-ordered parlours. (…) Whereas the members of the bourgeoisie themselves emulated the self-control exercised by the nobility, they delighted in the unchecked emotions and coarse customs of the simple folk. It is doubtful whether this was the case; he left about 60 works none of them dated, most of them unsigned and some attributions contested or uncertain. Rubens owned almost a third of them so it doesn’t seem his paintings were in high demand with ‘the more prosperous city dwellers’. The Smokers (c. 1636) – The Metropolitan Museum of Art, New York. Brouwer is the man in the middle, smoke leaving his open mouth. The man in black on the right is landscape painter Jan de Heem. Their clothes make them see a bit out of place in the tavern.